Search engine optimization can boost visibility and online presence, thereby increasing sales and rendering marketing efforts more cost efficient. Our main search engine optimization services are Digital Presence Audit, Organic Keyword Research, On-Page Content Optimization, and Link Building. The Paper Frog Media SEO expert team works together with clients, in order to identify the strengths and weaknesses of your website’s keyword ranking and link profile. We analyze current SERP standings, complete a profile for your existing back links, and determine the proper publishing schedule on site that will improve your ranking. Then, we deliver thoughtfully researched SEO written content, in a timely manner. 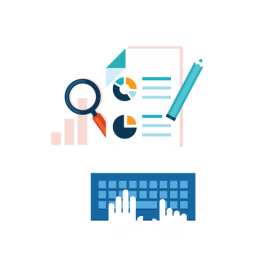 Our SEO services offer is completed by ongoing, periodic performance reports, which make the optimization process fully transparent.